Why did I write Psychic Integrity, you may ask? Well, I guess it combines several emotional components, along with plenty of experiences and observations. Basically, I have seen so much deceit and unprofessional action when it comes to psychic and mediums. I have witnessed mediums who barge into others’ personal space and tell them that the angels are given special instructions for them to follow. I have seen psychics that “fish” for information by asking questions, and then feeding it back to the client. And I have seen readers who charge exorbitant amounts of money for false information. I have seen dishonest, and ungifted mediums take advantage of grieving clients who want to believe. So the readers can tell them anything, and the client will think it is so. I hate to tell you some of things I’ve seen. It would disenhearten you. Interesting… I just got a call from a college student, who was studying jounalism. She was preparing a magazine article assignment for her class, and was calling people to add information to her chosen topic. The subject was about paranormal activity and spirit communication. Since I have been a medium and metaphysical teacher for over 30 years, she found my information on the internet, and decided to call me. Her main focus was on how interest of the paranormal has become so much more prevalent. It just came back to media again and again. But what was even more interesting was her next question. She asked me about Ouija boards. The Ouija (trademarked name) is a board with letters and numbers on it. 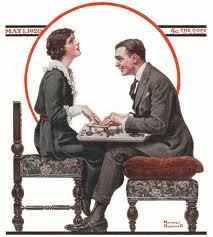 Generally, two people sit together (knees touching) and lightly place their finger tips on a planchette (small, light board with easy moving casters, that allow a pointer or window to point out each letter — forming words) This is supposed to create contact and communication with spirits from the “other side”. This student journalist asked me why so many have a negative response when she mentions this “game”. I remember as a young teenager, one Christmas gift that all three of us girls received. We always got some kind of boardgame to play as a family. That particular year we got a Ouiji board! Of course, my parents, being Methodist church-going people, and very conservative, had no idea of the reputation of this paranormal divination tool! We kind of played around with it and marveled at the almost instant movement we were able to get. And Dad teased us about spooky stuff happening. (He loved to scare us unmercilessly, especially during ghost movies.) But we never really knew why that pointer moved when we touched it. And after awhile, it was put in the closet for several years. After I moved out of the house and married, my sisters, who were in high school by then, came to the house and asked us to keep the Ouiji board. They did not want it in the house with them! They proceeded to explain what had happened. They were together with another girl friend one evening, during a sleepover. And of course, they took turns trying out the mysterious Ouiji board. They asked silly questions about this boy and that boy, and when would they get married, etc. Then, (why, I do not know) they asked when the friend would die! It said she would die when she was 18 years old. I guess it really freaked them out, especially since they were so close to that age. And they packed up the board and asked us to take it. We did, and I did not want to see it, so I took it to the basement and placed it on a shelf in a storage area and closed the door. The next year, their friend came down with a very quick infection and died. She was 18 years old. What I can tell you is this: when using any form of spirit communication tool, always treat it with respect. Ask that only the highest and best vibrations be contacted. Say a prayer of protection for yourself with a white light of protection or a pink light of love. Do not act silly. It is a very serious thing when you connect with the spirit world. It is not a game. Many years of study and training is needed to work with the world of spirit. And if you do not take it seriously, then do not fool with it at all. 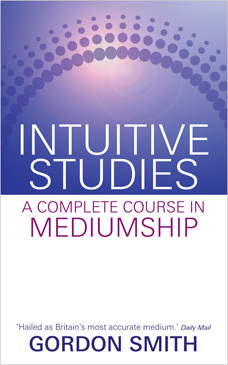 You can find out much more about developing your mediumistic abilities by studying my book Psychic Integrity, The Respected Practice of Modern Day Mystics. It will show you how to start with integrity and form a solid, loving foundation to unfold those gifts. What experiences have you had with these types of psychic and spirit tools? This sweet blogger-chick is a client of mine — well, so to speak. Anyway, the two-day conference she refers to is one that my husband and I exhibited in. And I gave another “experiential” workshop (not the one she relates here), but it was The Development Circle. It was a two hour session for those who had never been in an on-going class for psychic/medium development — totally a spiritual thing! It was great and there were about 23 people in attendence — most of them had never been in a development class, and did not even think they were psychic in any way.. But they were interested. And we got really great results from them all. Everyone has unique gifts and/or qualities to share with the world. What are yours? Do you even know? …Yet? Sometimes we seek out our gifts, yet other times they are so innately natural that we don’t even realize we are gifted. Sometime last year I met an 80-year old woman, named Mary Lou, and as we were talking about life she told me, “You’re quite spiritual. Your role in life is to share that spirituality with others. You’re inspirational and will motivate others.” Hmmmm. Really? At the time I didn’t understand (or believe for that matter), but was grateful for her wisdom. 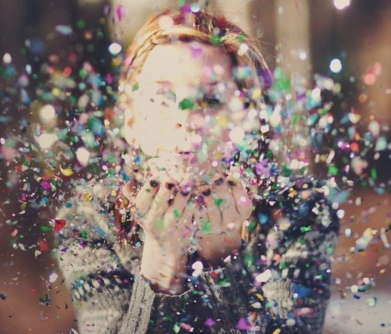 I’ve re-blogged this excerpt from my book Psychic Integrity, because it shares personal expereinces I have had as a child and young adult. There are so many things that happen as verification of life after death that we tend to dismiss as unreal or imagination — we explain it away. This section of the book brings home the understanding that we have always been spirit, and that just because we are embodied in a physical form for the moment does not mean the spirit is gone. Grandma lived with our family for six or seven years after Grandpa died. Over time, she had several small strokes. When they first started, it was almost comical, the odd things she reasoned out. Her mind did not always work properly. She brushed her teeth with Brill Cream hair gel instead of toothpaste. They both came in tubes, so it seemed fine in her mind to use either one. But she still knew all the words to her favorite hymn, “In the Garden”. I am always interested in finding out how other people do things. Being a psychic medium and workshop facilitator, I also hold two different development (unfoldment) circles and awareness classes. I enjoy taking a subject, breaking it down into simple terms and teaching others what I have found out. I was immediately drawn to Gordon Smith’s understanding that spirit communication takes time and practice. I know from my own early experiences in a spiritualist church development class that you don’t really make anything happen; you allow Spirit to work with you. This gift requires a length of time to allow Spirit to work within your energy field, and prepare you for the contact. It is not to be rushed into. I must have sat in the development circle for several years as a student before working with the public within the church service; all the while, connecting with the other students, raising the vibrations, and actually creating a special energy to the space of our class. Gordon honors the process in such a reverent way. He has a quiet way of sharing his information, both his own experiences as student and teacher, but also the experiences of his student. His honesty and forthright manner is refreshing and shows his worth. I agree with his thoughts on creating a foundation of who you are first, and then growing spirit awareness from there. In Intuitive Studies, Gordon stresses the idea of compassion and healing for humankind as a main focus for unfoldment. But also addresses the importance of creating improvement to your own life; opening yourself to spiritual awareness, and benefiting from your own spirit guides and teachers. The book follows the forming of a development circle and how it progresses over time. Gordon includes very powerful, yet simple exercises to assist spirit in accessing each student that sits in the circle. If you have ever wondered what it would be like to sit in a spirit development circle, then you will have a much better understanding of what really goes on there. Some of you might be disappointed as the wild and scary really does not exist there. When done correctly, there are no theatrics, no paranormal frights. There are only loving and helpful connections with the guides that are available for you every minute of the day. It is a natural and rewarding experience. Some people will also benefit from the author’s explanations of each step important in developing. It truly is a process that adheres to no time frames. It takes as long as it takes, and that is perfect. You will get a new appreciation for the gift of mediumship after reading this detailed account from a very established and well-regarded medium. Please join us for this inspiring, unique, and FREE event! Your Loved Ones in Spirit Have a Special Message for You. Say YES to this Exclusive Invitation. • Do you want to learn how to reunite with your loved ones and actually communicate with them? • Is there unresolved healing with a loved one in spirit that you’d like to receive guidance on? 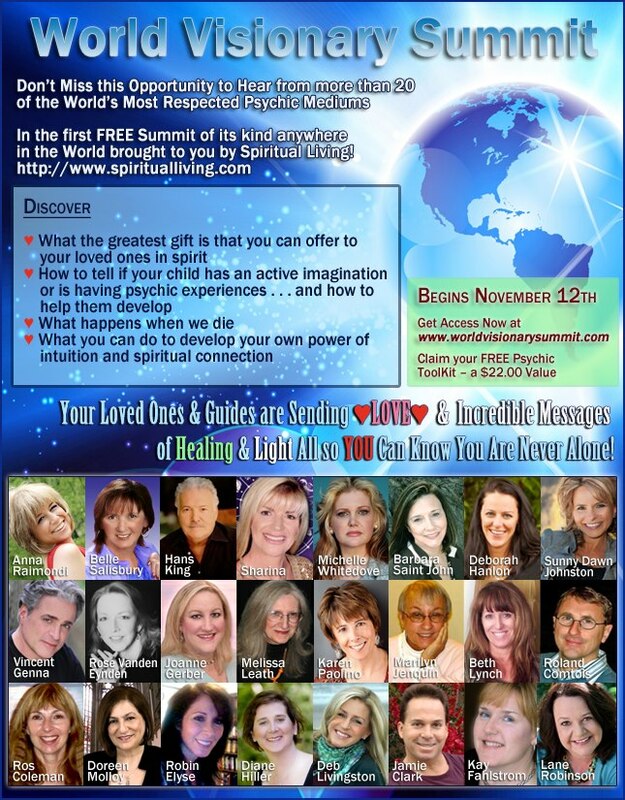 • Would you like to discover specific ways to awaken your psychic gifts and receive messages of love from your loved ones, guides and angels every day? 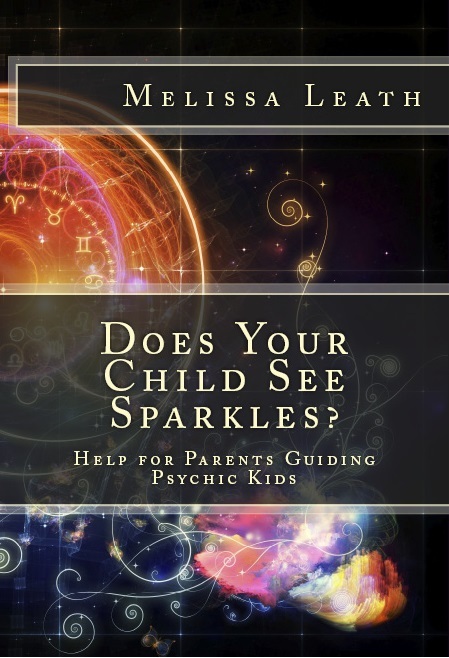 • Does your child see fairies, orbs, and angels? Do you? • Do you have dreams about people who have passed into spirit? Many children are coming to this world already open to Spirit and fully loaded with psychic and healing abilities. Some of them are known as Indigo or Crystal Children. Now it is our opportunity to assist them in grounding these gifts and understand how beneficial they can be. In this presentation, we will discuss how we can be supportive parents/teachers and to nurture our psychic children. You will be exposed to awareness games, inter-active exercises, and other ways to empower your child, and encourage them to develop a close relationship with their Higher Self and spirit guides. Melissa shares how she has assisted children, teens and young adults. Know the four behaviors displayed early in life by children who could potentially have psychic abilities: are these the Indigo Children? Find ways to help your child understand and be in control of the gift to use it properly, and create an atmosphere for your child to develop their creative and spiritual gifts. Learn about children seeing orbs and sparkles, how they can create “boundaries,” and open and close their energy fields at will. Understand ways to address possible fear and misunderstanding concerning what is happening. Learn from Melissa’s own experiences to help understand your child’s situation, and gain exercises and techniques that will help solidify the gifts so the child will feel more confident. Free 25 page Report “Does Your Child See Dead People?” in PDF form. So why is this so important for you If there is a time to spiritually wake up this is the time! This is a truly amazing time to live your truth. Never before have so many people been called to support those who are ready to awaken to the truth of life beyond the veil. We’re about to take a huge leap together, and the first step is knowing that you have an unseen support team of loved ones, guides, and angels ready to take this journey with you. With this shift in awareness, we need powerful mentors – Divine Communicators who are living and teaching this new way of BEING.